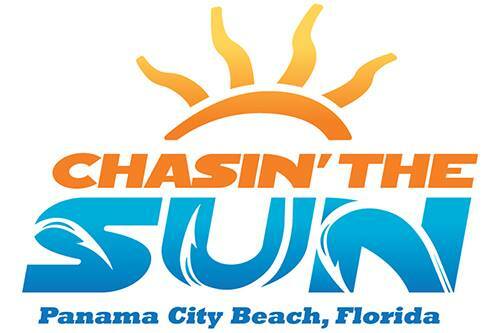 Visit Panama City Beach is proud to announce that the third season of its award-winning television series, “Chasin’ The Sun,” will premiere on Saturday, January 6, 2018 on Discovery Channel. “Chasin’ The Sun” is a fishing and coastal lifestyle television program that showcases the diverse angling, diving, and cultural opportunities found among the emerald green-waters of Panama City Beach. “Chasin’ The Sun” premiered in 2016 on Sportsman Channel with 13 original episodes, then moved to Destination America and NBC Sports Network for its second season. Both seasons were shot in Panama City Beach and featured popular species such as redfish, cobia, pompano, grouper, snapper, tarpon and kingfish, just to name a few. Panama City Beach offers abundant opportunities for anglers of all skill levels from its picturesque piers and directly from the sugar-white sands of its 27 miles of pristine beachfront. Capt. Justin Leake, a lifelong native of Panama City Beach, returns as host and will be joined this season by Capt. Travis Holeman, a nationally-known tournament angler, fishing guide and founder of Key West Angling charters. Leake and Holeman will be joined by special guests as they go fly fishing for tarpon, head offshore for grouper, target shallow water redfish from standup paddle boards and enjoy a taste of the coastal lifestyle. Weekly episodes will air on Saturday mornings at 8a.m. The Discovery Channel reaches nearly 100 million U.S. households. For more information on “Chasin’ The Sun,” please visit www.ChasinTheSunTV.com or stay connected via Facebook (@ChasinTheSunFishingShow), Instagram (@ChasinTheSunTV), Twitter (@ChasinTheSunTV) and Youtube.